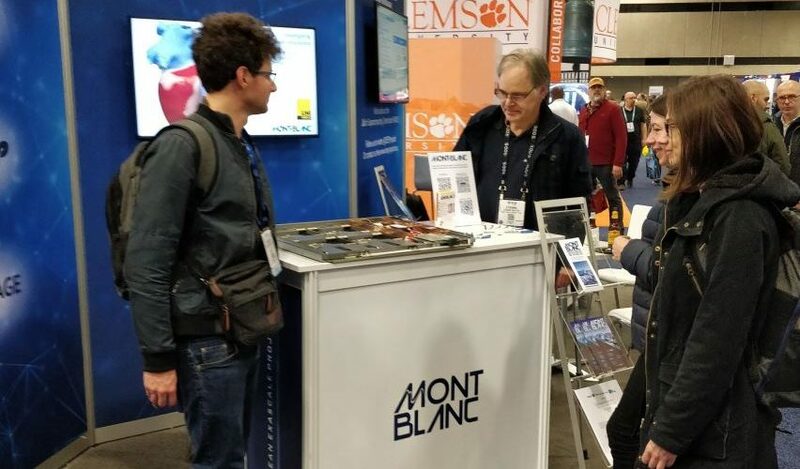 This year again the Mont-Blanc projects were part of SC – in Dallas. 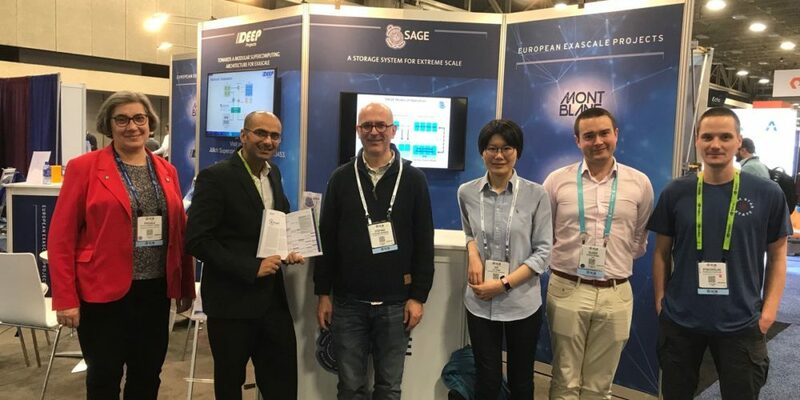 We were sharing booth #237 – the European Exascale Projects booth – with our friends of the SAGE and DEEPest projects. 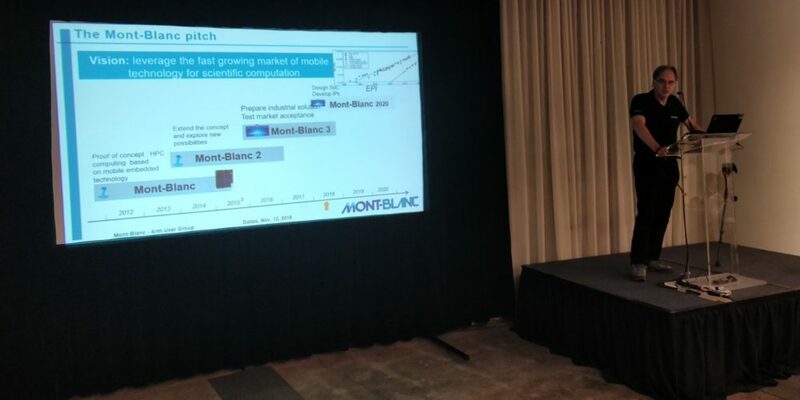 For the first time, Mont-Blanc 3 was exhibiting a full blade from its Dibona prototype. And the shiny copper head spreaders helped a lot capture the attention of visitors! At times there was a large crowd around the blade. 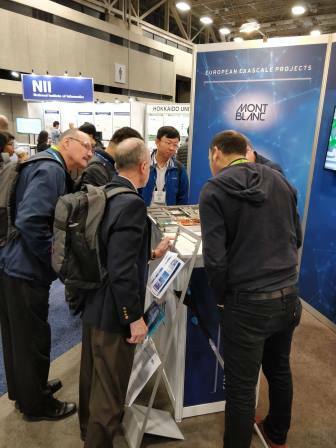 powered by our Dibona prototype!